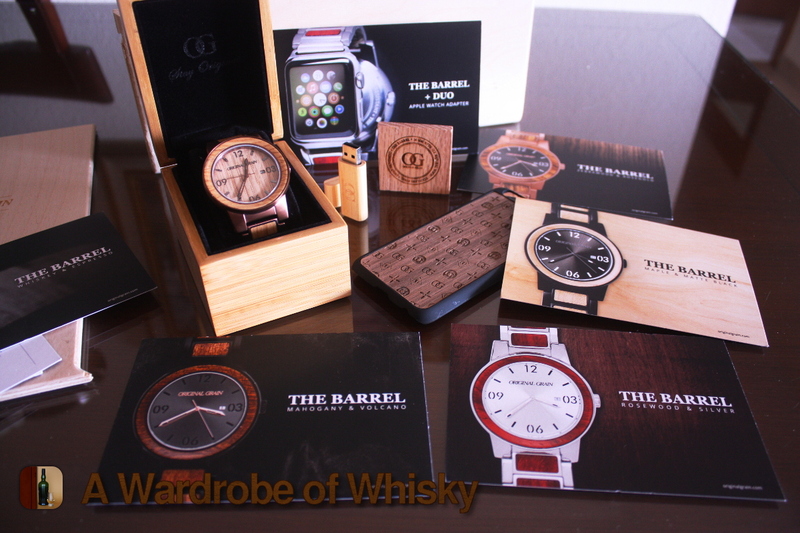 So, I bet you are right now wondering why do I am reviewing watches in a Whisky blog… and it is a very cool question. 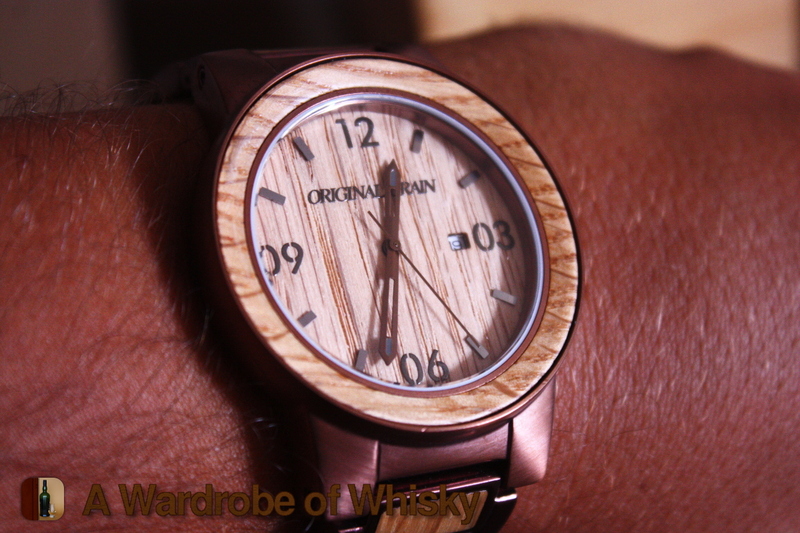 I am reviewing Original Grain’s The Barrel watch because the watch is actually made of reused whiskey casks! When Andrew Beltran, founder of Original Grain, told me about the watch, I was really curious about the idea of a wooden watch… so when I actually got the watch I was hugely and positively surprised. Let’s review it! The watch is quite thick. I love big watches and this one is even thicker than my (fake) Rolex. On the hand it feel quite solid and I absolutely love the combination of wood with a cooper like steel ( espresso steel they call it ). Also I really love the way the watch looks. 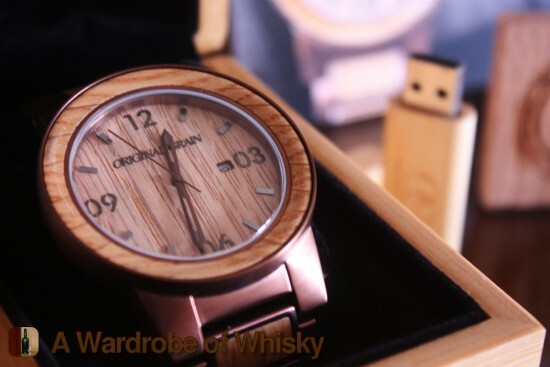 It is really original… I have it in my hands and I am still shocked about it: A watch made with whiskey casks. This isn’t a conservative watch. The way the cooper-like steel and wood combines makes it very pleasant to the eye and really will make some heads turn towards you… and I have no idea why but I want a dram of Balvenie right now. 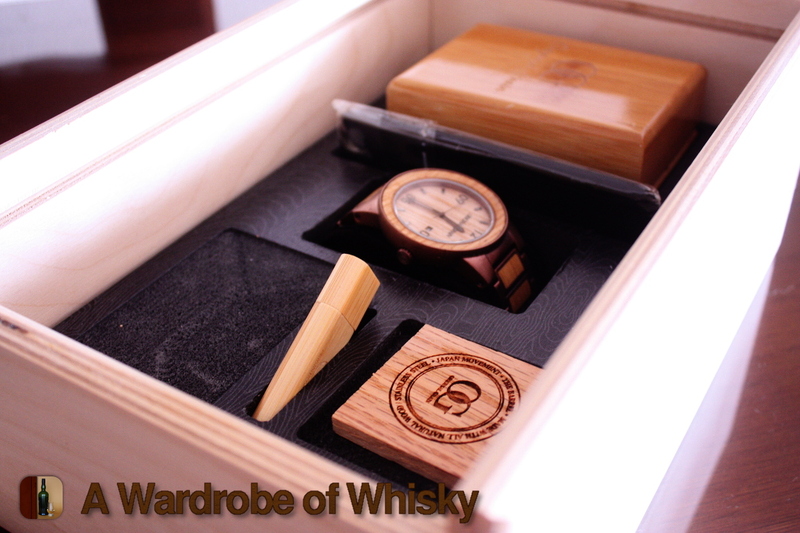 Although the watch has lots of parts of wood, they are all placed in steel in such a way that they don’t get damaged my usage. The rest of the watch is pretty solid and it weight a lot. I just love this watch, man! 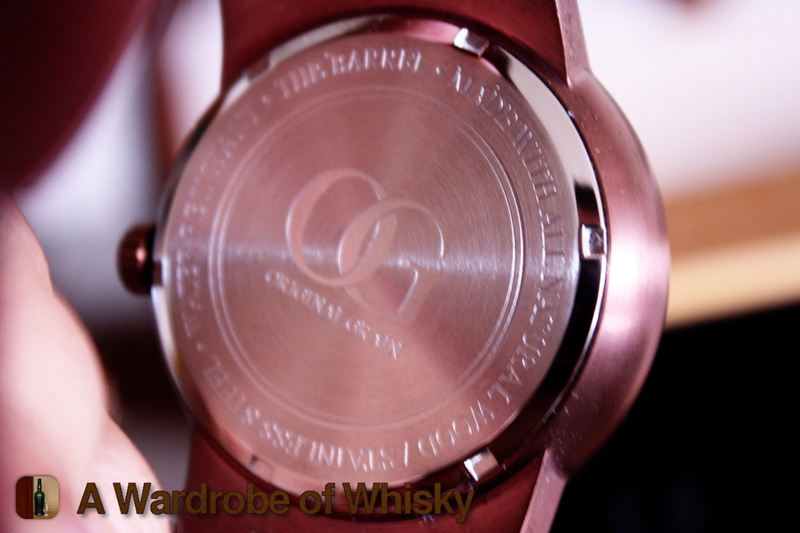 This is the back of the watch. You still have two days more to support the project on Kickstarter before the price goes up: https://www.kickstarter.com/projects/originalgrain/the-barrel-handcrafted-watch-made-w-whiskey-barrel or go to Original Grain after that.